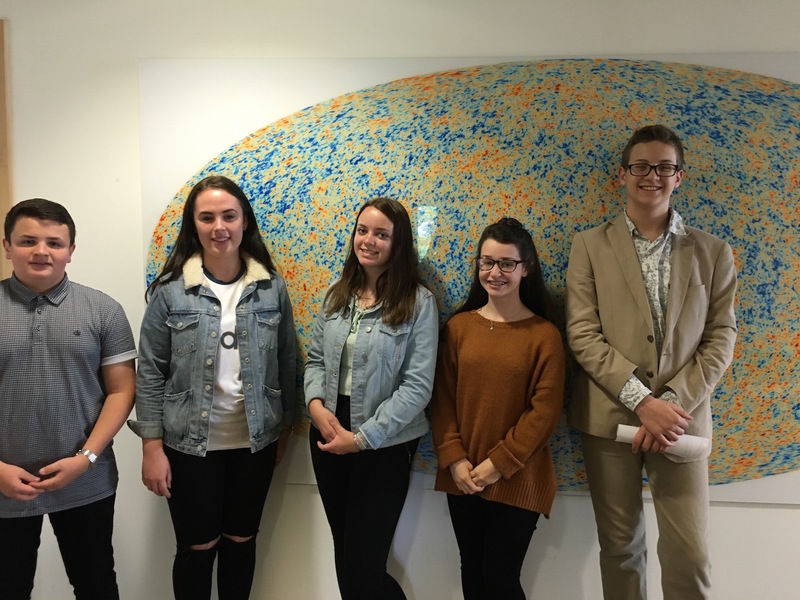 ICG has been delighted this week to welcome five young people from local schools (Brune Park, Gosport; Portsmough High School, and Kings School, Winchester) for a period of work experience. The students participated in a variety of events, and were each matched with a supervisor to work on a research project. The week ended today with a research symposium for the students to present their projects. The students at the start of the week after they successfully completed a treasure hunt around the department. 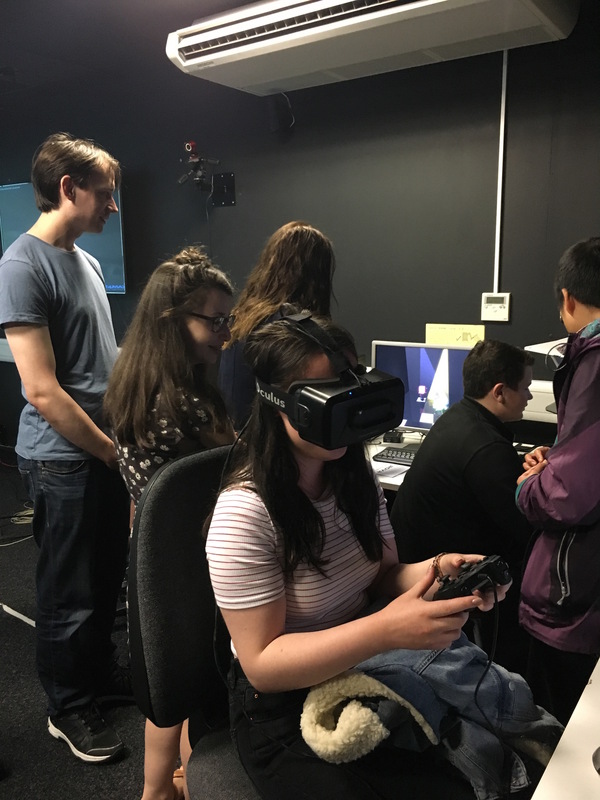 Our visit to the virtual reality lab in CCi was a big hi-light for everyone. 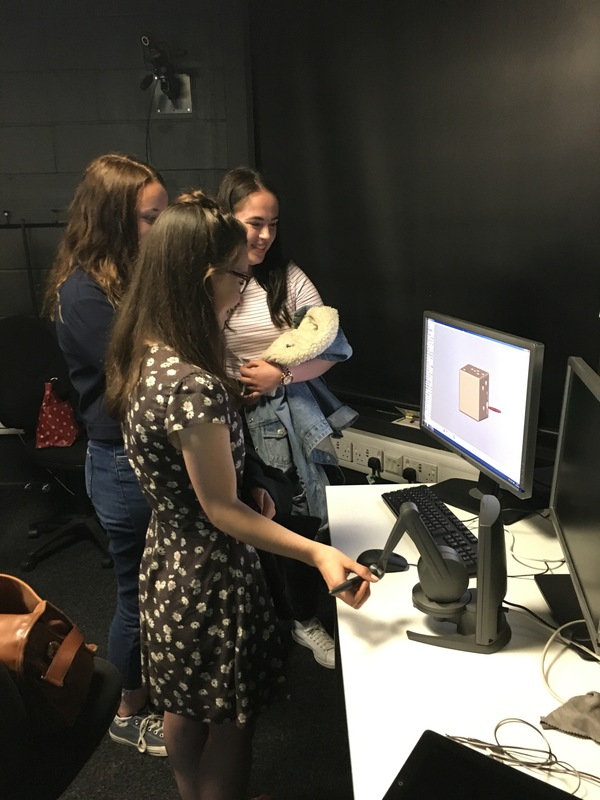 Below the students play with haptics and immersive VR. We also viewed a special 3D movie showing the structure of galaxies and large scale structure of the Universe. Pictures from the research symposium. 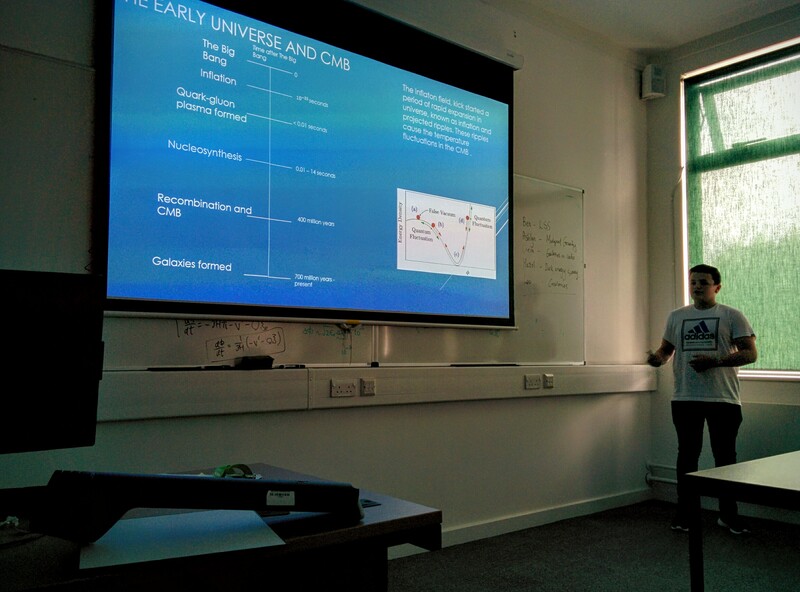 Ben presents his work with Matt Withers on what creates the large scale structure of the Universe. 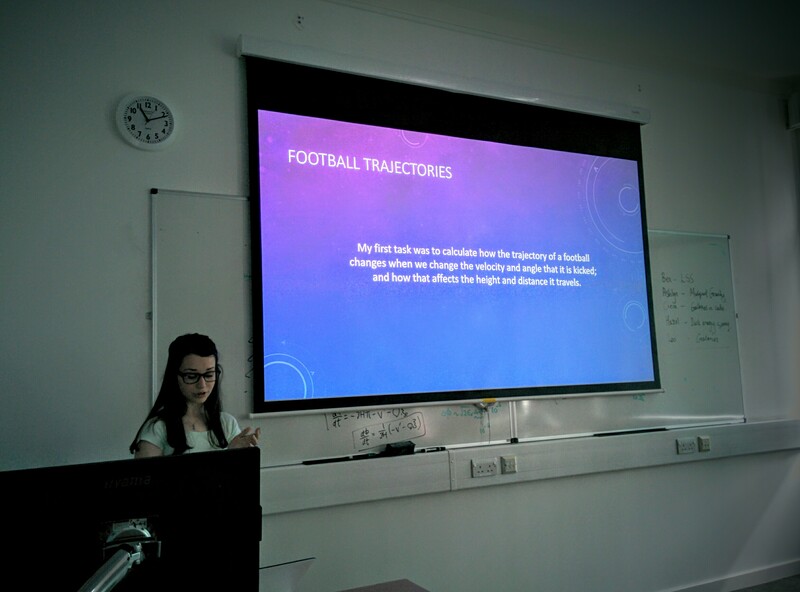 Ashlyn presents her work with Ben Bose investigation modifications to gravity theories. 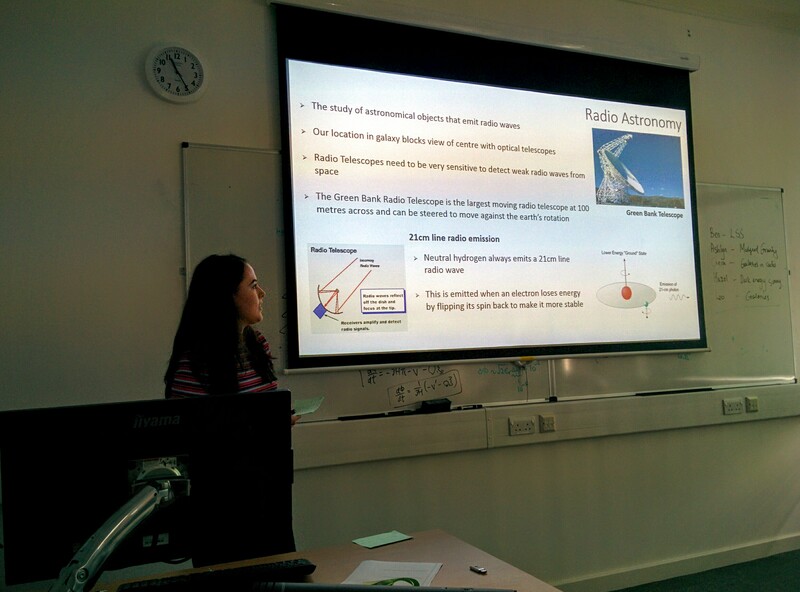 Ciera present her work with Karen Masters, Frederika Phipps and Lucy Newman investigating radio observations of galaxies. 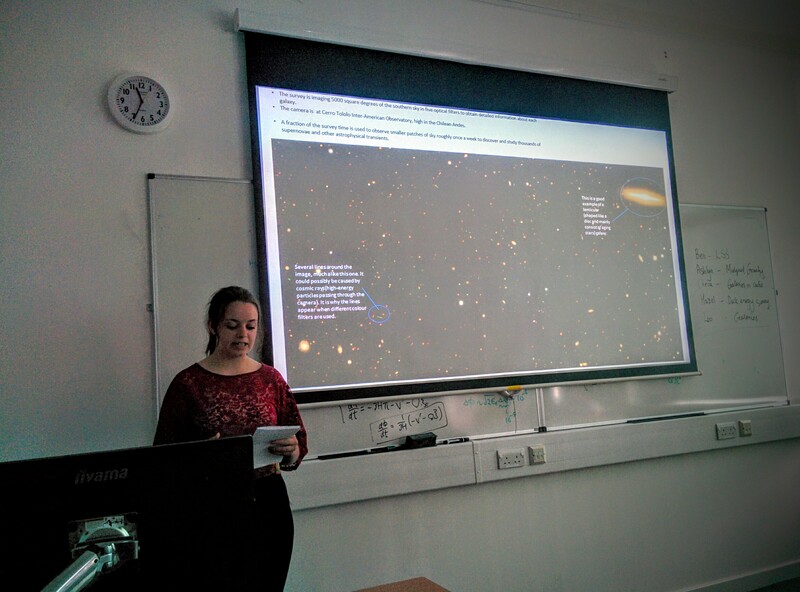 Hazel presents work with David Bacon on measuring the density of the Universe using images from the Dark Energy Survey. 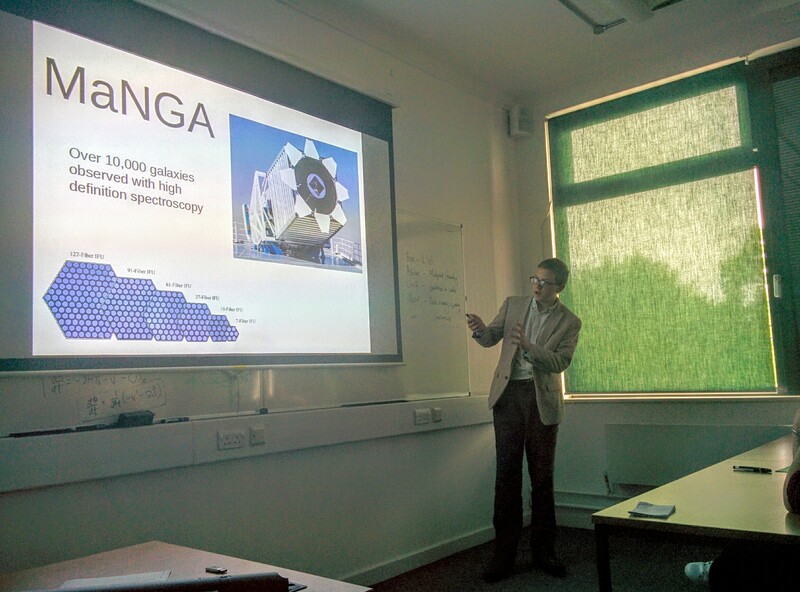 Leo presents his work with Taniya Parikh and Dan Goddard investigating galaxies with the MaNGA survey. All students and (most) supervisors together at the end of the week. 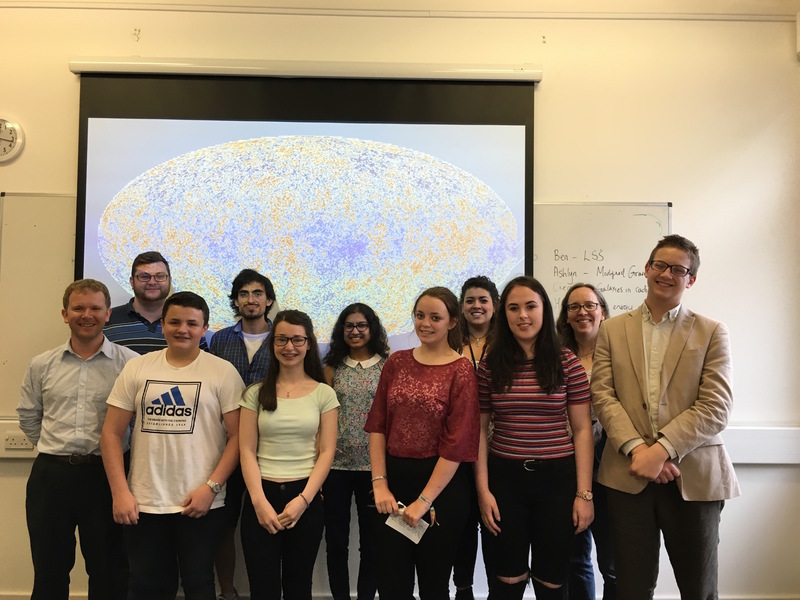 All students reported that this week has encouraged them to be more likely to continue Physics to A-level, to pursue a physics related career and talk with their friends about how interesting physics is, which we think is a great result. All supervisors were really impressed at the level of the projects and the presentations.